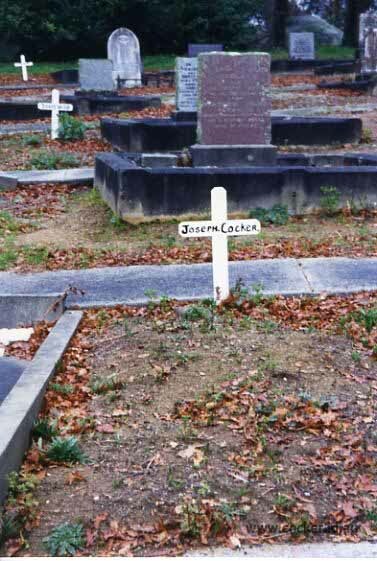 Joseph Cocker was born on 13 Nov 1851 in Hadspen, Tasmania, was christened on 25 Mar 1852 in Patterson Street Church, Launceston, died on 19 Jul 1937 in Launceston General Hospital, Launceston, Tasmania at age 85, and was buried on 21 Jul 1937 in Springfield Cemetery. 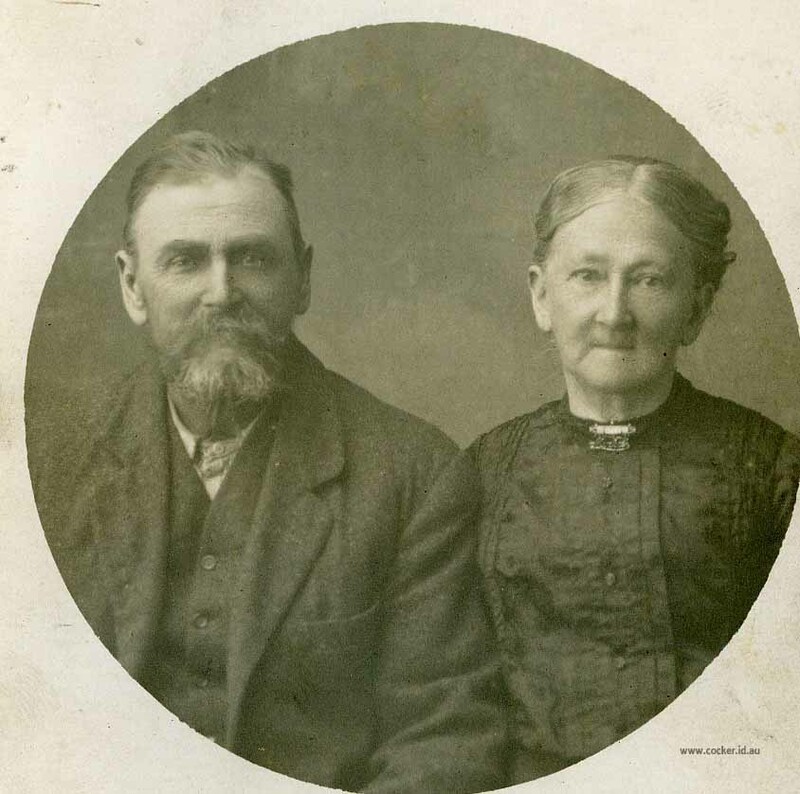 Joseph married Emma Agnes Jones on 23 Oct 1876 in Church of Christ, Longford, Tasmania. Emma was born as Euphemia Lawson on 26 Apr 1849 and baptised at the Cascades Female Factory on 17 Oct 1849. She died on 7 Sep 1921 in Springfield aged 72. The story of Euphemia Lawson and her family is told here. 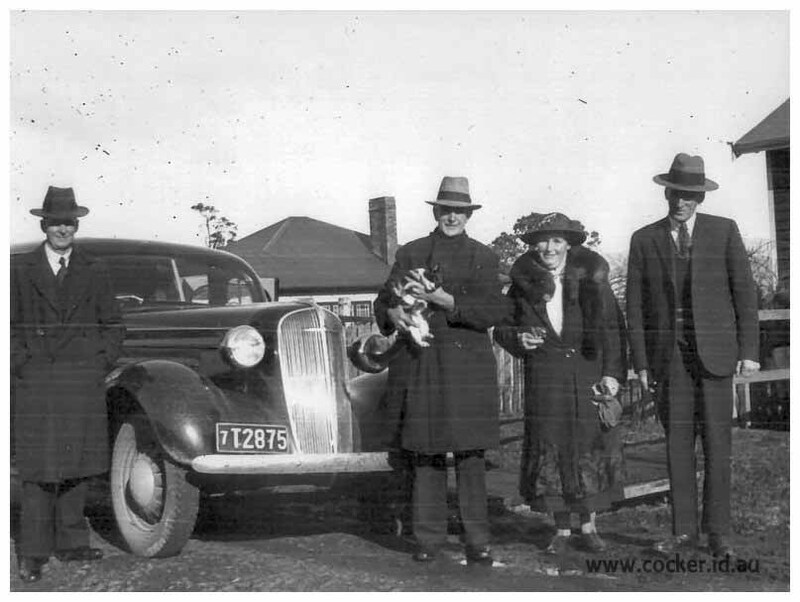 COCKER-On the 19th July, 1937, at the Public Hospital, Launceston, Joseph, relict of the late Emma Agnes Cocker, late of Springfield and 36 Margaret-street, Launceston. Aged 85 years. FUNERAL NOTICES COCKER.-The Funeral of the late Mr. Joseph Cocker is appointed to arrive at the Springfield Cemetery this day, Wednesday, 21st July, at 3 o'clock, for interment. Friends are invited to attend.-ARMITAGE & ARMI- TAGE, Funeral Directors, 116 St. John-street, Launceston. COCKER.-Members of the Independent Order of Oddfellows Lodge are invited to attend the funeral or their late Brother Joseph Cocker, arriving at the Springfield Cemetery this day (Wednesday), at 3 o'clock. This photo was taken in November 1942 at Ringarooma on the occasion of the funeral of Jean Lorraine Cocker, daughter of Alfred Ernest and Eliza Caroline. From left to right: Arthur Tasman, Joseph George, Eliza Caroline and Alfred Ernest. The car is Tas' 1936 Chevrolet.